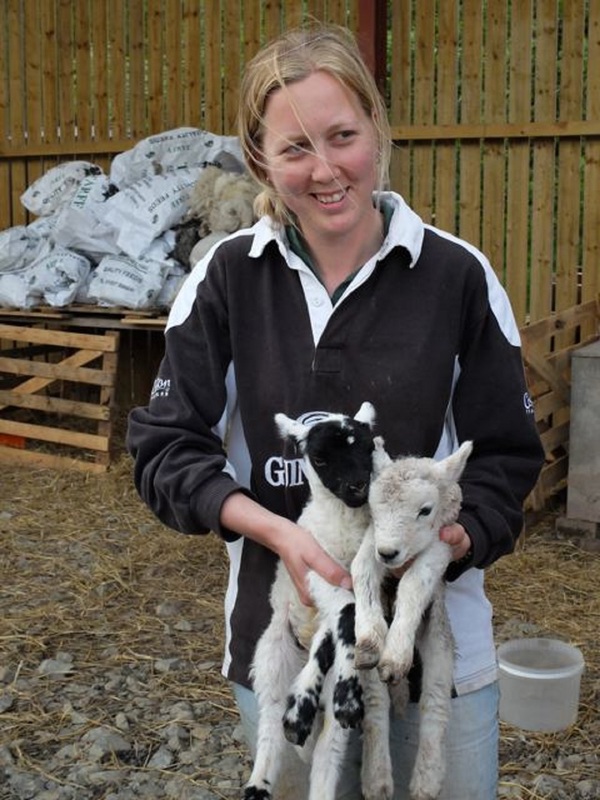 Kate Graham has been the tenant farmer at Shankend, in the Scottish Borders, since September 2010. Not only has she successfully run her sheep sponsorship scheme this year (more of which we will be learning about later this week) but work at Shankend certainly keep her busy. “In September 2010, I was lucky enough to get the tenancy for Shankend. The land had been neglected by the previous tenant and there was hardly a fence left standing, so it wasn’t until January 2011 that I got my first lot of livestock onto the place. At that point I had 30 Texel Cross ewes with crossbred ewe hoggs as followers. I had bought my first four Highland heifers in the September and they were living on the hill farm until I had a stock-proof field at Shankend. As the land had not been properly grazed the fields were thick with undergrowth and the weeds were 5ft tall!! My trusty fold of Highland cattle have done a wonderful job of reclaiming the jungle and creating fields. During the winter of 2012 I changed the breeds of sheep from Texel Crosses to native breeds and this has also further improved the land. Not only was there a significant lack of fences when I took on the tenancy there was also a lack of handling facilities, and over the past 4 years I have bought and made, (well my Dad has made for me! 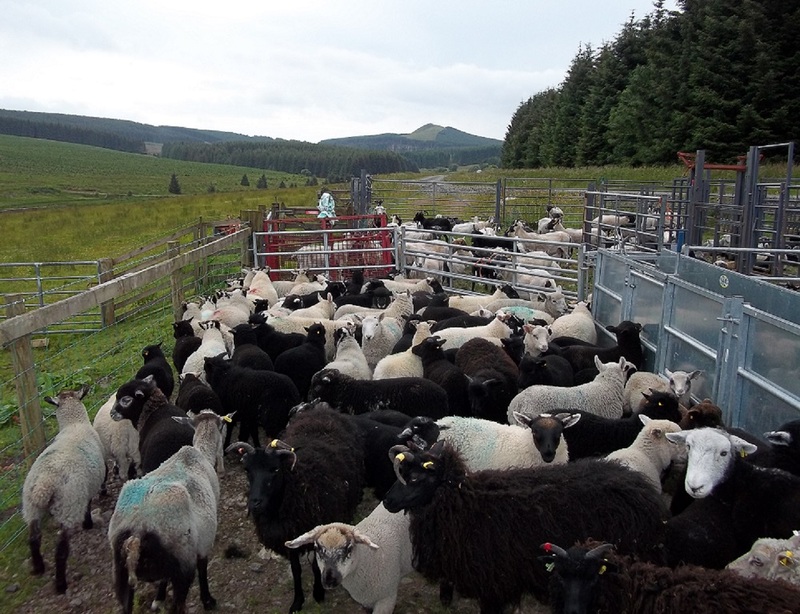 ), sheep and cattle handling pens. I also now have a shed, which does everything from storing winter feed, to acting as a hospital to the infirm, and a nursing home to some of my elderly ladies, such as my nine year old Hebridean ewes. The fencing is still an on-going project – I may only have 60 acres of land at Shankend, but fencing is expensive, and due to the ground conditions and financial limitations, all the fences are erected by hand by my Dad and me. It is a long slow process, but every year its getting better and better. Over the past four years I have gone from 30 ewes and four heifers to 160 ewes, 22 tups and 109 lambs. The cattle now stretches to eight cows, two bulling heifers, four yearling heifers, a bull, three bullocks and three calves born this year. The sheep breeds that I currently run are: Coloured Ryelands, Scottish Blackfaces, Herdwicks, Hebrideans, Shetlands, South Country Cheviots, Black Wensleydales and a selection of crosses who will gradually be removed from the flock as they get older and will not be replaced. The ultimate aim of the flock is to produce pedigree and registered breeding females for sale – the boys will ultimately go from meat, unless there is something special about them, and then they will be registered and sold as tups. Wool, on a commercial farm is not a profitable enterprise as it costs more to have the sheep shorn than the farmer gets for the fleece from the British Wool Marketing Board, so I needed to find an alternative outlet for my fleeces, and the breeds I run offer me the opportunity to sell to spinners, and other wool crafts-people. A lot of the sheep breeds I run are not typical “butcher” animals, so I am currently looking for an outlet for the meat – hopefully I will have secured a contract with a charcuterie over the next few months. Thanks to Kate for giving us a snapshot of her life at Shankend. Later this week will be looking at Kate’s flock sponsorship scheme and learning what the scheme has meant to those who “adopted” from her. To find out more about Shankend Farming you can join Kate’s group on Ravelry.